Cultural relativism: Understanding another culture in its own terms sympathetically enough that the culture appears to be a coherent and meaningful design for living (Schultz and Lavenda 2014). Emic: An approach to gathering data that investigates how local people think and how they understand the world (Guest 2014). Both require understanding and are essential skills for any human in the 21st Century. These skills come to some of us more naturally than others. I’m fairly open-minded by nature, and have had plenty of training, but had occasionally overwhelming culture shock when working in the Central African Republic. I had to consciously practice cultural relativism – and still do sometimes. A great way to practice is by intentionally exposing yourself to beliefs and behaviors that seem inexplicable or nonsensical. And there are plenty to choose from. What’s most surprising is that some of the behaviors I have the hardest time wrapping my head around occur within my own culture! Maybe this is because we expect far away cultures to be strange and those close-to-home to be familiar. Maybe the “weirdness” is more notable when it occurs in our own backyards. All anthropologists have weak points in their relativistic armor. Mine are 1) a strong sense of morality, which makes it especially hard for me to objectively interpret practices that conflict with it and 2) what can be loosely lumped together as denialism: clinging to widely-discredited, counter-factual beliefs or opinions in the face of “beyond the shadow of a doubt” evidence. 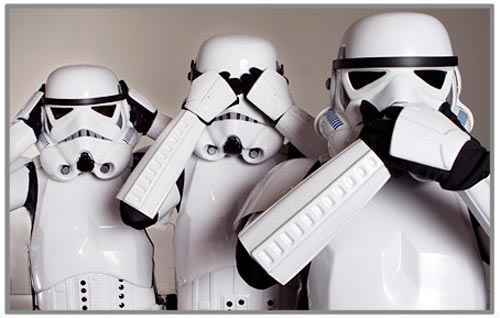 (Of course, if I was suffering from severe denial, I wouldn’t know it!). Well-documented perspectives that can classified as denialism are: creationism, climate change denial, people who think the moon landing was a hoax, flat earthers, “birthers,” anti-vaxxers, people who doubt links between smoking and cancer or HIV and AIDS, holocaust deniers, 9/11 truthers, etc. We’ve all met people who are dogmatic about absurdities and seemingly impervious to contradictory evidence. And it’s very easy to come up with rational explanations for their irrationality. Still, I’ve never felt like I really understood where they’re coming from. Irrationality in response to emotional trauma is easy to understand. In his book Denialism: How Irrational Thinking Harms the Planet and Threatens Our Lives, author Michael Specter notes: “We have all been in denial at some point in our lives; faced with truths too painful to accept, rejection often seems the only way to cope. Under those circumstances, facts, no matter how detailed or irrefutable, rarely make a difference” (2009:3). Yet some forms of denial, like “moon landing skeptics,” aren’t particularly tied to strong negative emotions or personal suffering. Undoubtedly, tons of psychological and sociological studies have been conducted on this phenomenon, and I’m simply unaware of them. I would speculate that a denialist’s personal identity gets inseparably intertwined with his or her “strange” beliefs; to abandon the belief would be to lose his or her sense of purpose or self – but I’m way beyond my field of expertise with this speculation. “Denialism is typically driven by ideology, politics, or religious beliefs, in which the commitment to the belief takes precedence over the evidence for or against it. Belief comes first, reasons for belief follow, and those reasons are winnowed to assure that the belief is always supported” (Prothero 2013:xiii). Shermer describes a pretty sophisticated and self-reinforcing system of denial. As someone who values empirical evidence above all else, it’s hard to accept this perversion of the scientific method. For me, reliable facts are the objective – even if they only lead to an ambiguous or tentative conclusion. For a denialist, sustaining a preconceived “conclusion” is the objective – even if evidence must be ignored or forced through the narrow funnel of belief. I guess I can understand that, even as I fervently disagree with it. Interestingly, both books cited above include “Threaten” in their titles. Do you see denialism as a threat or harmless oddity? Okay, it’s a pretty tenuous link between the holiday many of you are probably celebrating and Easter Island. But it is a good excuse for me to learn a little bit more about a place that I’ve always found fascinating. Obviously, the famous moai statues are the most striking feature of the island to an archaeologist (I first saw them in a comic book as a child and only later learned that they’re real!). They’re probably some of the most recognizable prehistoric monuments in the world, notable for their stylized faces and massive size. I suppose there’s some “mystery” about their construction (safe to say, not aliens). But, backing up a bit, “Easter” seems like an odd place name for ancient Polynesian peoples. And, of course, current residents call it Rapa Nui. There’s some ambiguity about its previous name and meaning. 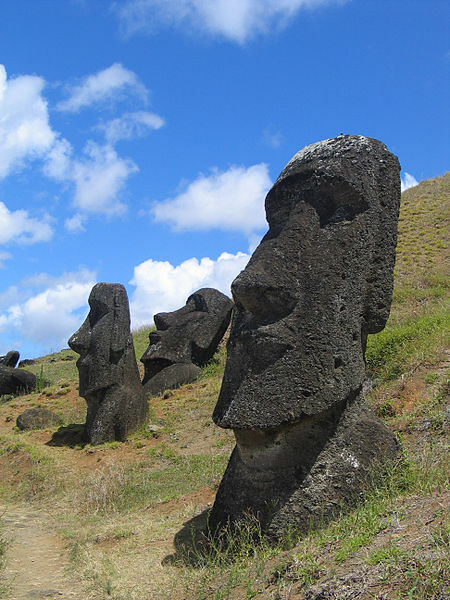 A Dutch explorer sighted the island on Easter Sunday, 1722 and…why does no one ever ask local people what they call their land?…dubbed it Easter Island. Jared Diamond’s account of Easter Island’s collapse (2004) is a powerful cautionary tale. The ecological and cultural issues faced by the island today are a continuation of those identified by Diamond, and a microcosm of global issues. Gideon Long of BBC News provides an excellent summary of the troubles of sustaining a small, remote island population. Easter Island is both blessed and cursed by the massive tourist interest in its sites. I’m personally stretched between wanting to see moai before I die and not wanting to contribute to the island’s tourist-related problems. According to National Geographic, January-March is the peak tourist season, so, if I’m ever fortunate enough to visit, it will probably be another time of year. Have any readers ever visited Easter Island? Please share your stories in the comments! It’s Anthropology. It’s Now. Check out this thought-provoking post at the American Anthropological Association. The newest issue of Medical Anthropology Quarterly, a journal of the Society of Medical Anthropology, offers an in depth look at both the Affordable Care Act (ACA) and national health care systems worldwide. Several of the articles in the journal offer a critical look at the ACA as the United States embarks its first health care reformation in over half a century. One article in particular, Critical Anthropology of Global Health “Takes A Stand” Statement: A Critical Medical Anthropological Approach to the U.S.’s Affordable Care Act looks at the driving force behind the ACA, it’s uneasy compromise with the insurance industry, the unconstitutionality of the original planned expansion of Medicaid, and the shortfalls the ACA imposes on the American population. A three-part documentary called Your Inner Fish, based on Neil Shubin’s book of the same name begins tonight on PBS (Check local listings). Must-See TV for anyone interested in vertebrate evolution! I came across a couple of news articles over the weekend that are worlds apart, but with a similar theme: damage done to the archaeological record and what’s being done to mitigate the harm. Both reflect cooperative efforts to make things right. 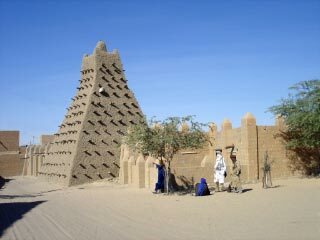 The first story involves the ancient city of Timbuktu in Mali, West Africa. Many shrines, dating to the 14th and 15th Centuries AD, were destroyed by Islamic militants who view local Sufi practices as sacrilegious. It’s a tragic, and all-too-common, pattern; erasing the past in an attempt to make way for a new view of the future. I can think of hundreds of examples of such desecration occurring throughout history and prehistory. And there are many more examples we’ll never know about because the “visionaries” were so thorough in their destruction. In Timbuktu, hope arises as a result of committed local and international efforts to rebuild, made easier by the fact that Timbuktu is a UNESCO World Heritage site. The second story comes all the way from the U.S. state of Indiana. The FBI uncovered thousands of artifacts in the private collection of a 91-year-old man, many of them illegally acquired from around the globe. Anthropologist Larry Zimmerman from Indiana University -Purdue University Indianapolis said: “I have never seen a collection like this in my life except at some of the largest museums.” The LA Times is running the story, by Paresh Dave, under the headline “Indiana Jones? FBI finds thousands of artifacts in 91-year old’s home.” Archaeology. State of Indiana. I guess that headline writes itself… I’d call it Indiana Looter’s Last Crusade, myself! But here’s the bright spot, the man is cooperating in a massive effort to repatriate as many artifacts as possible. Dr. Jones would approve of this part since these cultural items belong in a museum! Evidently, Biblical literalists are upset that Cosmos: A Spacetime Odyssey introduces the Big Bang and evolution without giving equal time to “alternative” explanations. The difficulty, of course, is that pseudoscientists never think of themselves as such, but as a suppressed (but vocal!) minority view. Many of us spend time arguing why “teaching the controversy” in science classes – or on science shows – is not warranted (because there is no scientific controversy). Amanda Marcotte at Alternet has an intriguing solution: Why not take an anthropological perspective and devote one episode of Cosmos to creation myths…all of them? That way everyone can be offended by having their literally-true-in-all-respects origin lumped in with the obviously-culturally-constructed stories of other cultures. I’m not sure if that would make anyone happy, but it would be illuminating to watch! Nice to see professional organizations working to promote responsible popularization. Although protesting every example of pseudoarchaeology on TV would take a very long time!